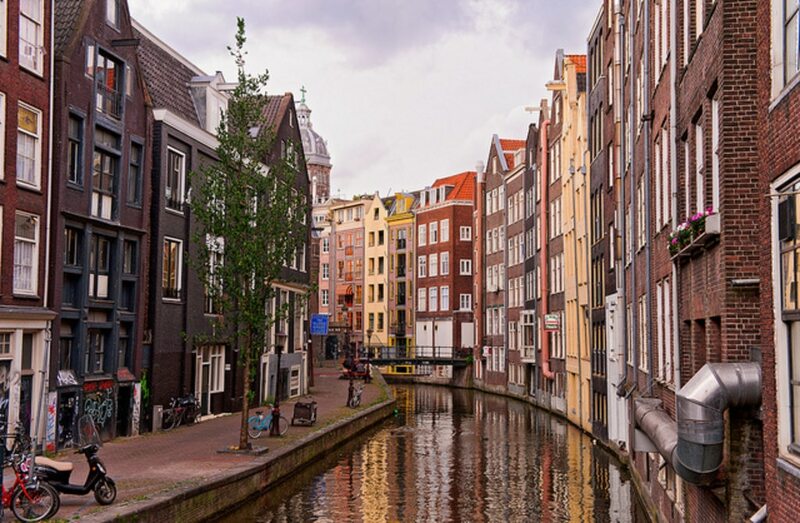 Amsterdam as a city trip destination is one that you can easily spend a fortune on. But if you're visiting Amsterdam on a budget, there are still plenty of things for you to do for free. Dutchies are known for being professional cheap-skates ('going Dutch', anyone? ), so let us tell you all the free things you can do in our capital city. A bit of a local secret: behind the entrance at Spui, you'll find the Begijnhof. This was originally founded as a home for members of the Catholic Sisterhood called 'the Begijntjes'. It is cut off from Amsterdam's traffic noise and the beautifully maintained garden and the equally beautiful houses make sure you'll find some much-needed quiet time here. Vondelpark is the most well-known park in Amsterdam. It is nestled right in the fancier Zuid-area. In summer, many free concerts and other performances are held here. This is a perfect location for a picnic or a morning walk. In Amsterdam, you can visit other parts of the city easily by taking one of the free ferries from the south side of the IJ River. Take the waterfront exit of Amsterdam Central Station to board these ferries. If you happen to discover the city by bike then no need to worry, because you can bring bikes for free as well. Image by Tambako the Jaguar via CC BY-ND 2.0 licence. Amsterdam is littered with markets throughout the city centre on any given day. At Albert Cuyp, the most famous one, you can shop daily at over 300 stalls! Anything from food to clothing to flowers can be bought here. It is situated in the centre of the neighbourhood 'De Pijp'. Locals love the Noordermarket on Mondays and Saturdays. At Singel 7, you can find a house with a width of only one metre, which makes the rooms barely wider than its front door. Another house that can definitely carry the name of 'tiny house' can be found at Oude Hoogstraat 22. This house is only 2.02 metres wide and 5 metres deep. The reason for this is that people used to have to pay for the width of their house, and not the height. Amsterdam's 17th-Century Canal Ring is part of the UNESCO World Heritage List and not without reason. Its uniqueness is one of the reasons why you have to go for a wander around the canals and streets of Amsterdam. It's free and one of the best experiences one could have while visiting the Dutch capital. Amsterdam loves its festivals and especially free festivals and events. Depending on when you visit Amsterdam you might be able to catch one of these fun events. Amongst others, you can visit the Amsterdam Light Festival (November - January), King's Day (27 April), Gay Pride (August), Uitmarkt (August), Open Monumentendag (September), Grachtenfestival (August) and the Vondelpark concerts (Summer). Every Tuesday night, an improvisation workshop is given to musicians at Bimhuis. It is free to participate but also free to visit. Just enjoy the great sounds of musicians showcasing their talents and passion. Bimhuis is located in the centre of Amsterdam and these free Tuesday night sessions start at 10 pm. 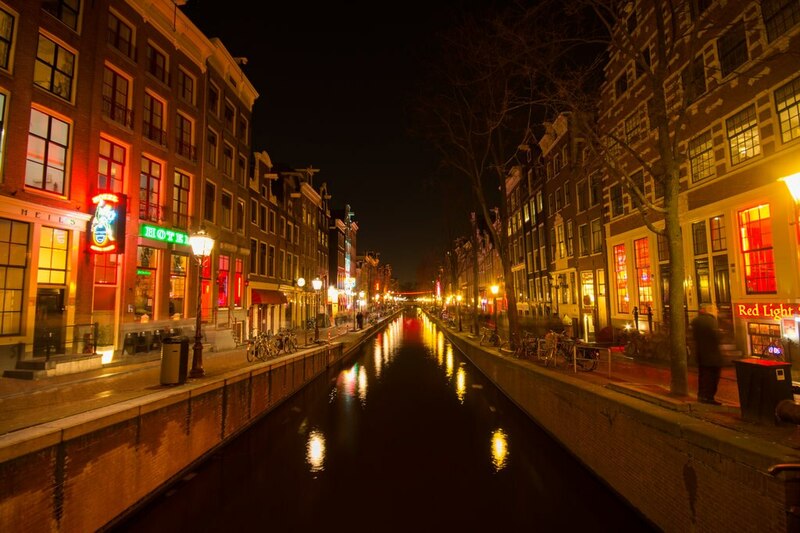 One of the most famous spots in Amsterdam is the Red Light District. You can safely explore day and night since it is such a popular location for tourists. Just make sure you don't take any pictures when it's indicated not to, and you'll be fine. Amsterdam is absolutely worth a visit even if you are on a budget. With these nine free things, you are well on your way to an unforgettable city trip. 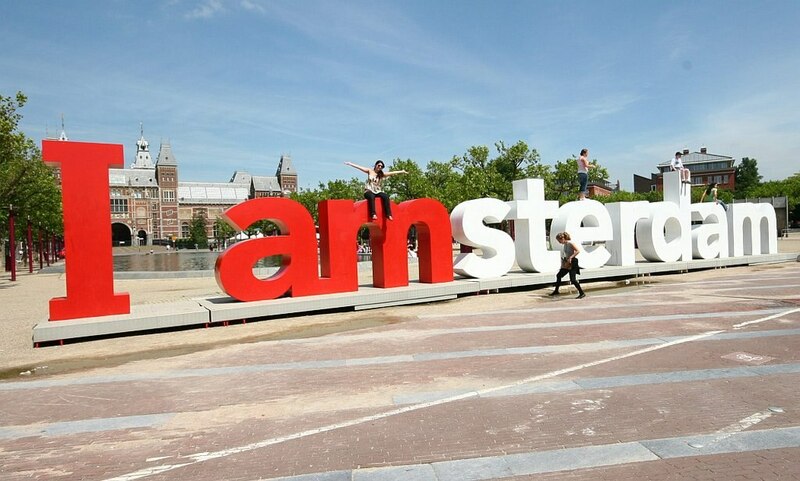 As a last stop, don't forget to visit the IAmsterdam sign at Museumplein to have your picture taken and enjoy! 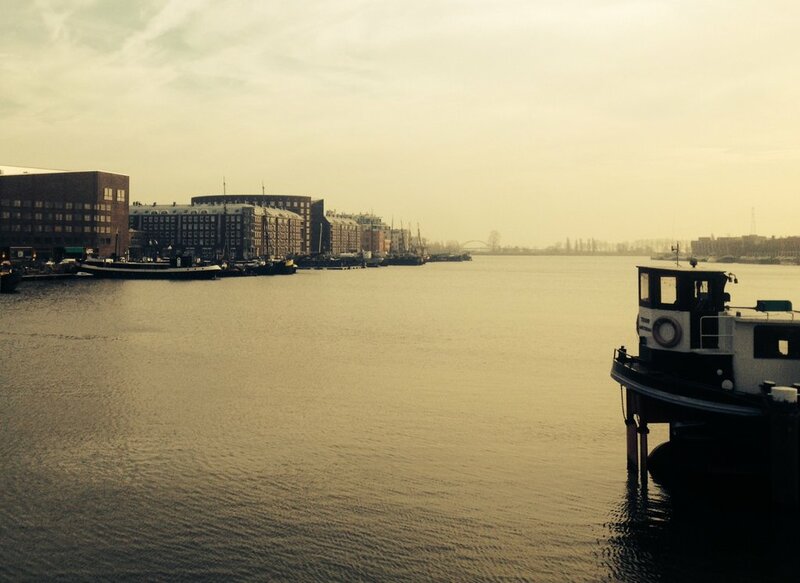 Ready to experience the best of Amsterdam for free? Check out our hotel deals to start planning your trip.